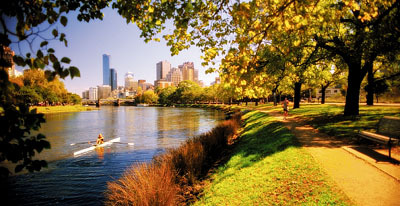 The conference will be held at the 5 star Langham Hotel in Melbourne which is located on the south bank of the Yarra River. The hotel is within easy reach of the city's business district, fashion, shopping, sport, parks and gardens, al fresco restaurants, cafés and nightlife. It is the centerpiece of Melbourne's art precinct, close to the Arts Centre, National Art Gallery of Victoria and Federation Square. 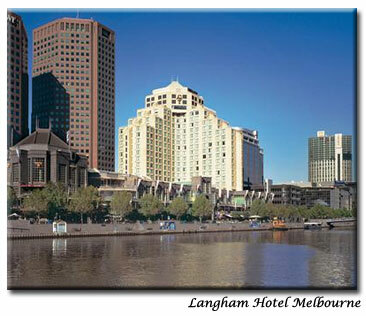 The Langham Hotel Melbourne has an array of facilities from fully a equipped business center 24 hours a day, 7 days a week to 9 meeting rooms for special meetings. For more information please visit this site. The average temperature in December is around 24 C (75 F) maximum and minimum around 14 C (57 F) with very little rainfall. The Airport is located about 25kms north-west of the city along the Tullamarine Freeway, which is about a 30 minute drive from the center of the city. Both direct international and domestic flights depart from this airport using a single terminal complex. Melbourne Airport is easily accessible, with many public and private transport services available. The airport operates 24hrs a day. Skybus super shuttle is the official carrier from Melbourne airport to the center of Melbourne. This service operates for 24hrs and all 7 days a week. This is the quickest and cheapest way to reach city from the airport. They take about 20 minutes to reach the city from airport. Adult one way tickets cost $13/Adult open return tickets cost $22. A family ticket costs $26 one way and a child ticket costs $5 one way. For more details please visit the website http://www.skybus.com.au/. Taxi cabs are available from the ground floor of Melbourne airport. They take about 30 minutes to reach the city center and could charge around $35 to $40. All taxis are non smoking. The MET operates Metropolitan tram, train and bus services. 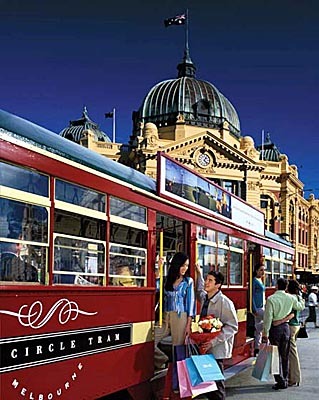 Private bus lines operate co-ordinated services to and from railway stations and surrounding areas. One Met ticket is required for all forms of transport. Tickets can be purchased from train stations, on board trams, buses and from retail outlets. For more information please visit http://www.victrip.com.au. The free city circle tram runs in both directions around the city center perimeter. The circuit takes 30 minutes, goes to the door of many City attractions and crosses most other rail and tramlines. A running commentary is provided and attendants on board will answer any questions, for further information please visit http://www.victrip.com.au/city_circle/. All visitors to Australia must have a valid visa. For many visitors this can be done over the Internet. See http://www.eta.immi.gov.au for further details. Please contact us by e-mail if you require an invitation to attend the conference, to assist with your visa application. It is important that you apply for your visas well in advance (at least 2 - 3 months) of anticipated travel. Australia has very strict quarantine laws. It is forbidden to bring food, plant or animal products into Australia and heavy fines apply. Baggage is checked on arrival. Visit this website to know the list of quarantined items http://www.affa.gov.au/content/publications.cfm?Category=Australian%20Quarantine %20fixand%20Inspection%20Service&ObjectID=91BEA21E-F661-4C28-993E5D87CAB8AF20. The Australian Dollar ($AUD) is a decimal currency with units in dollars and cents. Australia accepts all major credit cards including Visa, American Express, Mastercard and Diners Club. Travellers cheques are also widely accepted throughout. Major banks are open from 9am to 4.30pm on weekdays, with many flexiteller machines located in the Melbourne CBD. A 10% Goods and Services (GST) tax is incorporated into the price on all Goods & Services. Tipping is not expected however if you wish to show appreciation for outstanding service 10-15% would be appropriate. When calling from overseas the country code for Australia is "61". The area code for Melbourne is "3". When calling overseas the international access code for Australia is "0011". Mobile phones are widely used throughout Australia. Check with your phone company in your home country about international roam facilities in Australia. Travel insurance is recommended to cover your cancellation of the conference and any medical expenses that may be incurred should you become ill or injured during your trip. This exciting city has something for everyone ie the best in fashion, restaurants, sporting and cultural events. To know about the latest entertainment in the city please visit the website http://www.thatsmelbourne.com.au/. 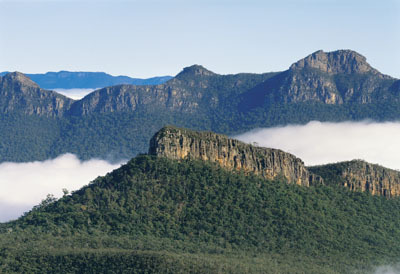 Information provided by Melbourne Convention and Visitor Bureau at http://www.mcvb.com.au.